America’s most popular fruit may be at risk of extinction, due to a fungus outbreak within the world’s banana crops. 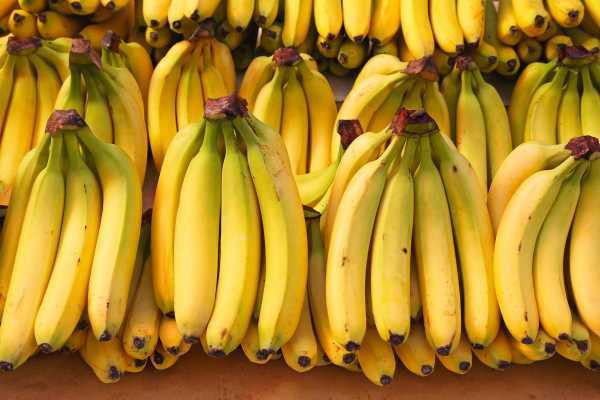 Online publication Cracked spoke to a professor of plant pathology from the University of Florida, named Dr. Randy Ploetz, who initially discovered the fungus that is destroying banana crops. The Cavendish-killing fungus, which is known as tropical race 4, was discovered by the professor in 1989, and he thinks that there is no way of stopping the fruit extinction. There are numerous reasons why concerns over the banana crisis have lead to the conclusion that extinction is inevitable, one of which is that it has happened before. From 1900 to the mid-1950s, the most popular banana in America was the Gros Michel banana. It was commonly sold, and even pictured in a fruit headdress worn by actress Carmen Miranda, but they are incredibly difficult to find today. Although they are not completely extinct, they are a very niche product. The Gros Michel banana was destroyed by an earlier form of today’s pathogen, race 1. Race 1 required 50 years to diminish the world’s plantations, but once the devastation was completed it had caused the modern equivalent of $2 billion in damages. Dr Ploetz explained that the modern Cavendish banana replaced the Gros Michel due to its resistance to race 1. However, the professor claims that this time there is nothing that is resistant to TR4 that will be able to replace Cavendish. Although this fungus outbreak is only affecting a particular type of banana, the Cavendish represents a huge 95% of the worldwide banana trade. TR4 is already widely spread across Asia, the Middle East and Africa, causing the United Nations to urge the banana-growing countries to increase their fungus-fighting actions. A huge 70% of the $9 billion banana industry’s produce comes from Latin America, which could have devastating effects for the trade of the country if TR4 begins to spread there, as researchers believe it will.